Waste Management Inc. on Monday announced that it has entered into a definitive agreement to buy rival waste company Advanced Disposal Services Inc. in a deal with an enterprise value of $4.9 billion. Under terms of the agreement, Waste Management will pay $33.15 per share in cash for Advanced Disposal stock. The per share price represents a premium of 22.1% to Advanced Disposal’s April 12 closing share. 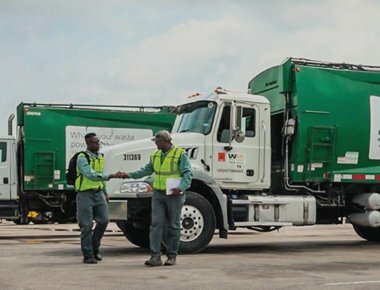 Waste Management expects the transaction to generate more than $100 million in annual cost and capital expenditure synergies, and be “immediately accretive” to its earnings and cash flow. Shares of Waste Management rose 2% in premarket, while Advanced Disposal shares shot up 21% were not active.